Changes in music have affected the way we think, the way we worship—even the way we are able to worship. We are steeped in a culture of pop music that makes other genres seem strangely foreign and unhelpful. Worship has become a conflict area, rather than a source of unity. 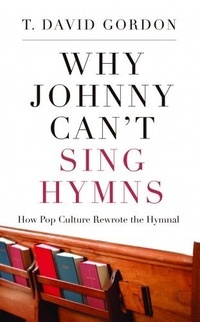 T. David Gordon looks at these changes in worship and not only examines the problems, but also provides solutions. They are solutions of great importance to us all—because how we sing affects how we live.